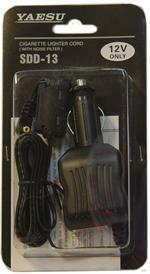 CD-15A: is a Vertex-Standard brand desktop Rapid Charger. It charges 7.2 Li-ION & 7.4v Li-ION battery packs such as FNB-58Li and FNB-80Li (Yaesu, Vertex, Standard Horizon, Batteries America brands). Charges battery pack alone, or you can insert the entire handheld rig. Charges battery fully in about 2 hours, with automatic shut-off. 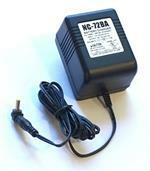 This charger is powered by either the NC-72B, NC-72BA, PA-48B (wall chargers),or the SDD-13, E-DC-5B, E-DC-5BA (DC Power & Charge cords) which can be purchased separately.